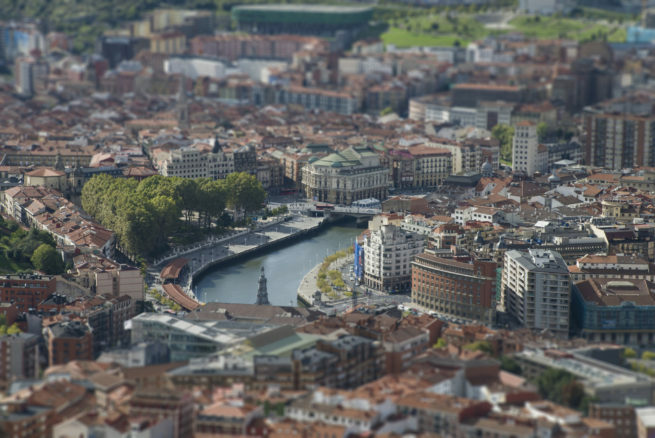 Book a private flight to Bilbao, the de facto capital of Basque Country home to downtown skyscrapers and the Frank Gehry–designed Guggenheim Museum. Whether you’re chartering a private jet for a relaxing getaway along the Bay of Biscay or for business along Spain’s northern coast, our team has access to thousands of Wyvern-certified private aircraft, allowing us to choose the perfect jet for your trip. Jet Charter Europe believes in providing private flyers with a one-on-one consultative service experience that exceeds every expectation. Your time, privacy, flight preferences and most of all, safety, are our top priorities, and our private air charter representatives are available for you by phone and email 24 hours a day, 7 days a week. When using our private aviation service, you can expect quick response times and an easy, hassle-free booking process. Request a quote or call us today and arrange your private flight to Bilbao, Spain. Enjoy a private luxury flight to Bilbao, a port city in northern Spain surrounded by the Cantabrian Mountains and the Pyrenees. Despite the many factories and shipyards that form the city’s industrial backbone, you’ll also find a celebrated cuisine and new, cutting edge architecture like Frank Gehry’s titanium-clad Guggenheim Museum, and the “Zubizuri”, a tied-arch bridge crossing the Nervion River. Gehry also designed the Hotel Marques de Riscal, a contemporary luxury hotel overlooking vineyards in nearby Elciego. Many additional hotel options for luxury vacations, getaways, business trips, and special events are available in the area. To help make your choice, we’ve put together the following list of luxury hotels based on many factors including Jet Charter Europe passenger feedback, location, amenities, and online reviews. Once arriving in Spain via luxury private jet, our Bilbao Jet Charter service brokers can also arrange ground transportation to/from the hotel of your choice. 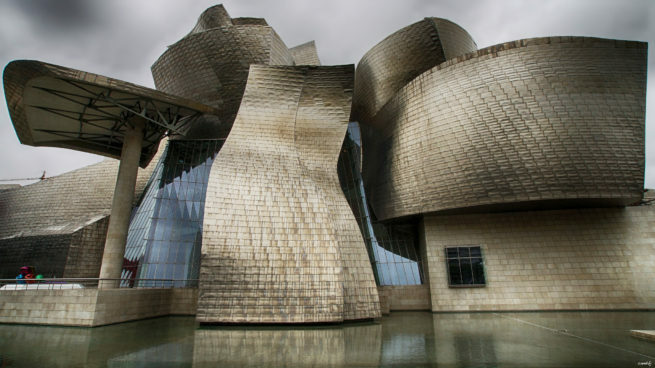 Nestled between mountain ranges along Spain’s northern coast, Bilbao was a mostly industrial city until the Frank Gehry–designed Guggenheim Museum ignited the city’s revitalization when it open in 1997. The museum houses modern and contemporary works from prominent artists, but it’s the shiny, curvy design of the building that garners the most attention. Check out more galleries at the Bilbao Fine Arts Museum, located entirely inside the city’s Doña Casilda Iturrizar park. Azkuna Zentroa, one of the most iconic buildings in the city, is an innovative cultural and entertainment space with a variety of activities for all interests. Private jet charter travelers interested in touring the vineyards around Bilbao can connect with tour groups in the town of Haro, the wine capital of Rioja. Our team can also arrange a sample of the region’s finest wines for you and your guests to enjoy during your private luxury flight. Naturally, “Carnaval” is celebrated here with vigor every spring, and you’ll find many other festivals throughout the year, such as Bilbao BBK Live, an annual rock and pop music festival. One of the regions first jazz festivals of the summer, Jazz Euskadi takes place over five days in the seaside suburb of Getxo; the suburb is also home to Festival Internacional de Folk de Getxo, a cultural festival promoting regional dance, music and traditions. More formal entertainment can be found at Teatro Arriaga, a Neo-baroque style opera house built in 1890 by Joaquín Rucoba, the same architect that built the city hall. San Sebastian is a nearby resort town located on the Bay of Biscay and a popular destination for visitors, most known for its beach, “La Concha”. 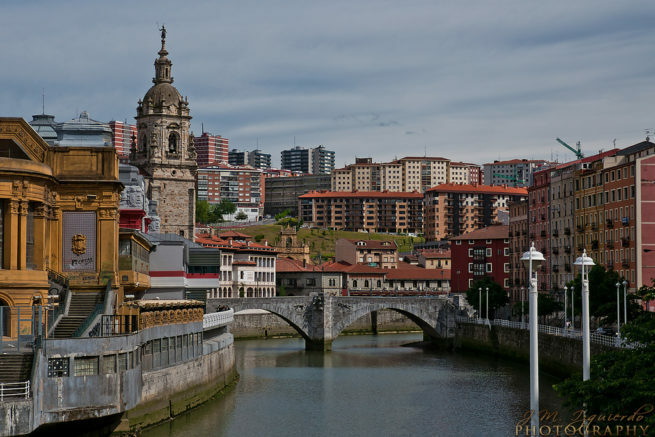 Check out more of our recommendations for luxury private jet travelers while staying in Bilbao, Spain. Jet Charter Europe utilizes the following airport to fly clients privately to/from Bilbao, Spain and neighboring areas. Request a Quote or give us a call at 1-888-987-5387 to speak with one of our Bilbao Private Jet Charter service brokers for your next luxury vacation, business trip, or special event.